EasyClaim is now available for all Android devices! Click Here check out our contents app on the Google Play Store! EasyClaim is a Inventory App for Android and iOS optimized for homeowners, insurance claims adjusters, and restoration contractors.The application makes compiling total loss valuations easier and more accessible than ever. Personal property is priceless and should be treated with care. 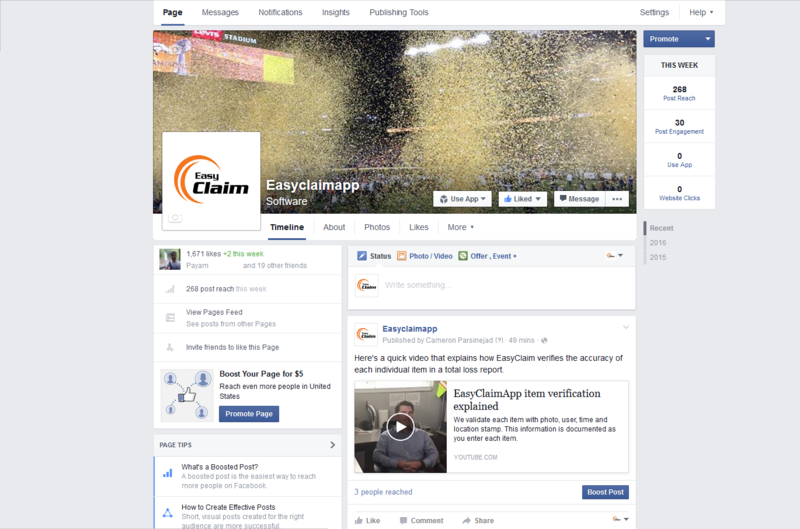 EasyClaim is a high tech solution for compiling non-salvageable reports. This entry was posted in Uncategorized on March 21, 2016 by Cameron. I will be completely honest with you here, from my perspective, basic local SEO is something that I think a lot of business owners have the capacity to understand, but they often get overwhelmed with it’s perceived complexities, and get deterred from trying. I am not saying that you, as a restoration franchise owner, can easily replace your professional SEO contractor, but it is possible for you to get an understanding of the basics. This will allow you to save money by doing some things yourself, and to hold your online marketer accountable. You can see that the ads are at the top, second is the Google Maps listings, and third is the organic search results. For most searches there will be three businesses shown in what’s sometimes referred to as the map pack. Look into verifying your GMB your listing by reading this help article. Make sure the category you picked as your primary category is accurate and make sure your secondary categories are relevant. That being said you should max out your secondary categories because this will allow Google to get a better idea of your services and show you for relavent search queries. Use a local phone number if possible. For some business owners this may be hard to do, but it will give your business a more local feel in the eyes of your customers and search engines. This is a great starting point for getting more fire and water restoration leads. On-page optimization involves making sure all of the wording on your website is correct and properly optimized for Google. Pick strong keywords and include them along with the city name you are trying to rank for on the pages of your website. For example: if I wanted to use the key-phrase “water damage” on my website, I would include this phrase in all parts of a particular page or post in addition to the city name I am trying to rank in. therefore, I would include: “water damage san jose” in (The URL, the title, the H1 tag, the body, and the meta description). If you are using WordPress for your website we recommend the Yoast SEO Plugin. It allows you to change all aspects of your page much easier much easier. Update your website regularly with new content. Blog posts are a great tool to stay updated, active, and interactive. Images are very important for rankings and getting fire restoration leads. I recommend including at least 1-2 (original if possible) per page or post. Try to use relevant images that will rank higher in Google Images for your target keywords. Your images will have to be tagged properly, to do this use similar elements as on-page optimization: (URL,The image file name, the title, the alt text, and the caption). All restoration companies should have at least one social media page for their business that links back to their website. Having an active following on other parts of the internet will boost your website’s rankings and provide more fire and water damage leads. Invite your friends, family, clients, and coworkers to like and share the page to gain a following. Keep the page active by posting regularly (3-7) times a week. Remember to use relevant hash tags and tag other business/people when making posts. Many forget that a social media page is not one sided. Be sure to like related pages such as property managers or plumbers and comment on their posts. Being interactive will keep you in their minds and boost your page rankings. 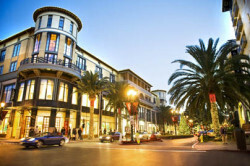 Submit your business to various local listings. The more reputable and trusted listings your business is featured in, the higher your rankings and exposure will be. The two essential ones are Google Maps and Yelp. As with anything else in SEO remember it is crucial to be consistent across all postings. For example, if I use “344 6th street” as my address on my website it should always read exactly that. If I use “344 6th st” on a listing it will not help my rankings. Remember that it is important for all disaster recovery companies to have a Yelp page. Especially if you are looking to target residential property work. Direct satisfied clients to your Yelp page for a review. Respond to all of your reviews in a relatively timely manner. 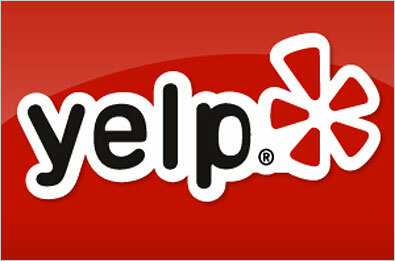 Provide special promotions on Yelp EX: “$200 for $250 Dollars of restoration work”. It can go a long way. Video can provide additional appeal to potential clients. Post videos with strong content and tag them properly with your business name, description with keywords, and good tags. Embed these videos onto your website for boosted rankings. EasyClaim incorporates all of these SEO techniques and more in our work. If you are interested in getting help with your internet marketing, and water and fire restoration lead generation please contact us to discuss our services. This entry was posted in Uncategorized on March 1, 2016 by Cameron.